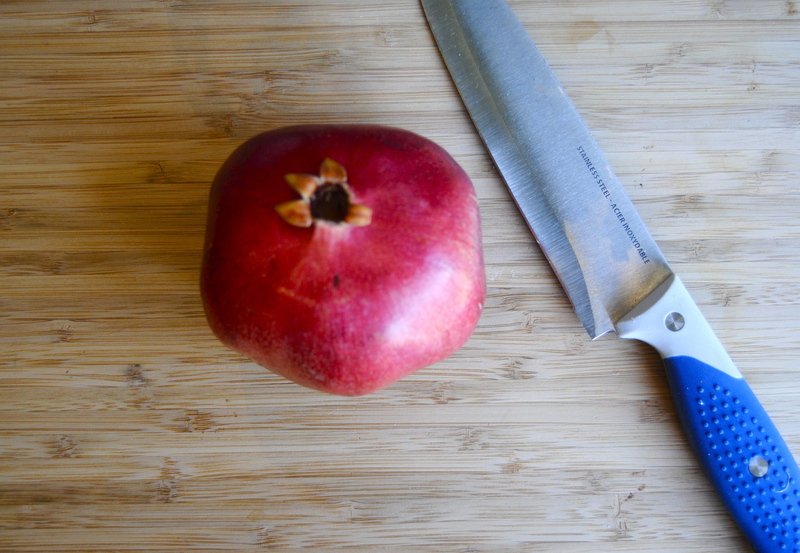 This year, the pomegranate season in Jerusalem felt like it came and left as fast as Birthright. But in glorious North America, you don’t have to shop seasonally. 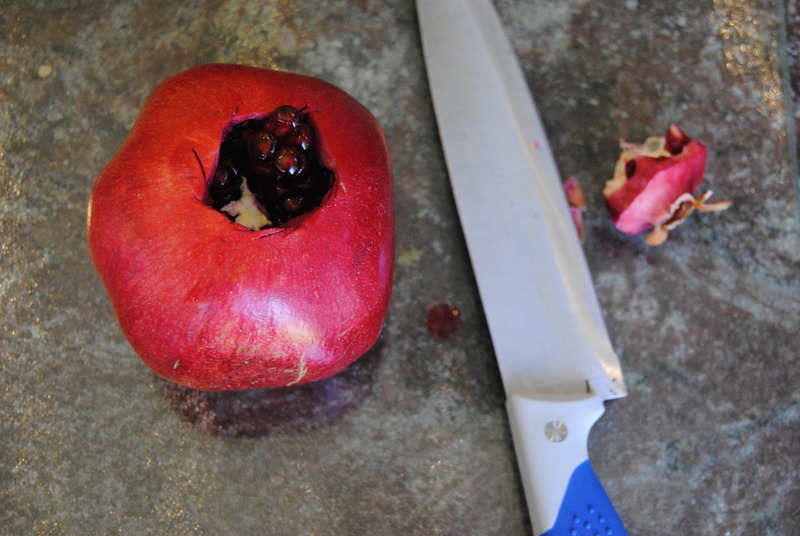 So I thought it would be a perfect occasion to quickly post one method of properly de-seeding a pomegranate so that I won’t ever have to read any more inane facebook statuses about pomegranates. And to help you, of course. 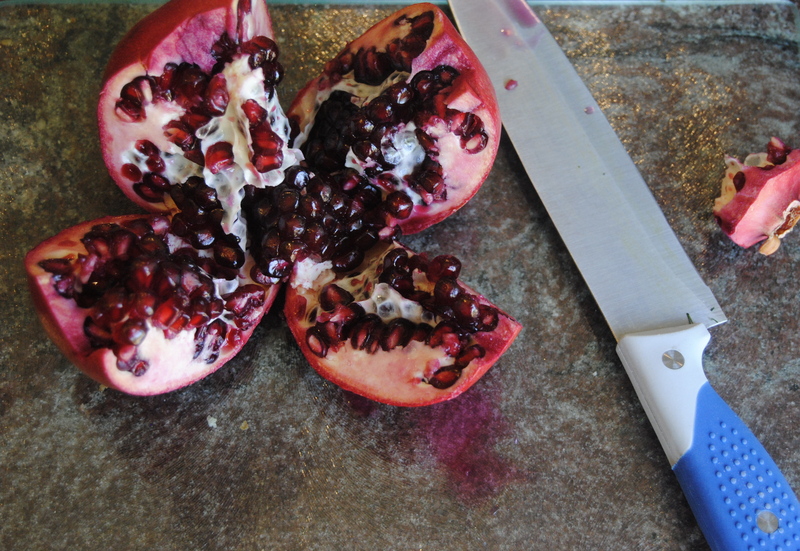 Then cut the pomegranate into quarts without fully separating each quart from the fruit. 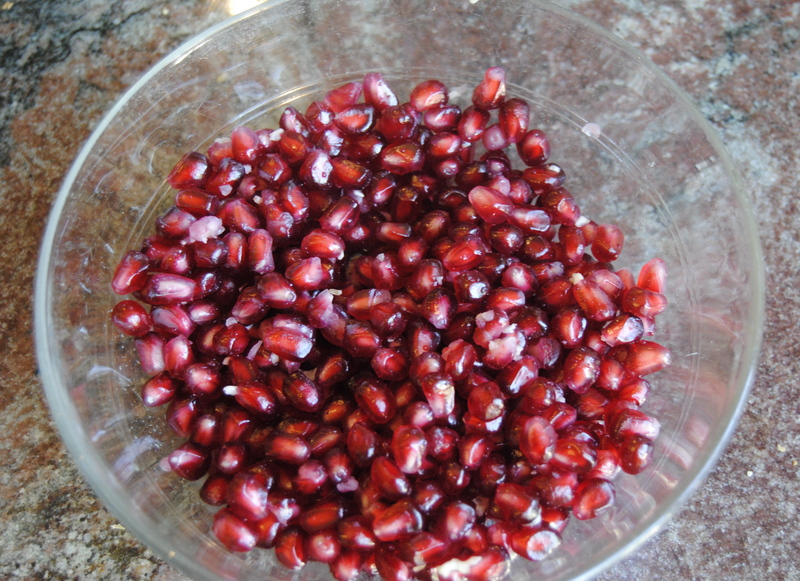 Fill a large bowl with water, immerse the pomegranate into the water and fully separate each quart. Underneath the water, skin side up and with hands on either side, remove the seeds with your fingers like they are dancing across the beads, letting the seeds fall into the water. 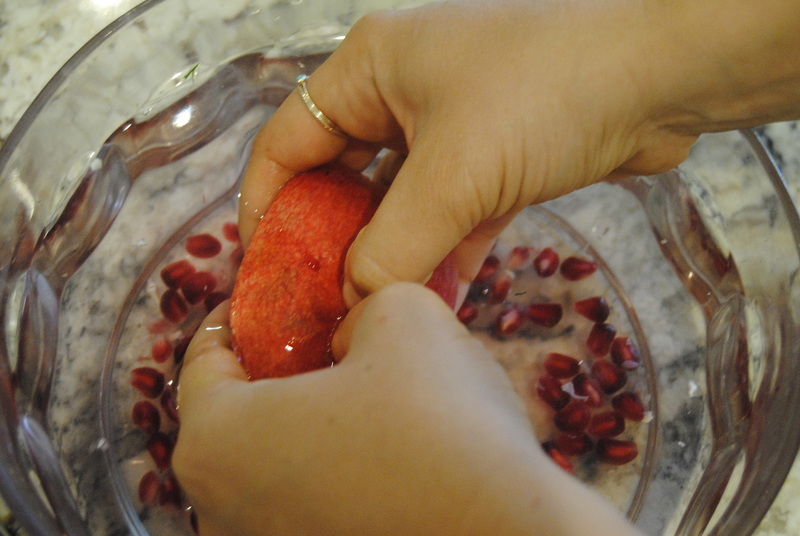 Pour the water and seeds through a strainer, remove any white chunks and enjoy your pomegranate seeds without a bloody-looking counter top!! Yes, yes, this is awesome for anyone who loves pomegranites. It is one of the hardest things and thanks to this post, I have found the secret. Thank you. Watching someone on the street take a pomegranate and press fresh juice out of it right in front of me was the single greatest moment of Birthright. I always crave pomegranates, but I never know what to do with them if I’m not buying pre-made juice, so thank you for this! I’m so glad this is useful for you! If you want some ideas what to do with pomegranate syrup (I know it’s not the seeds, but still), check out my recipe for Khoresht Fesenjan (you can throw the seeds into this), Khoresht Fesenjan pizza, and Muhammara. Enjoy! And thanks for checking out my blog!